This is pretty dang cool. 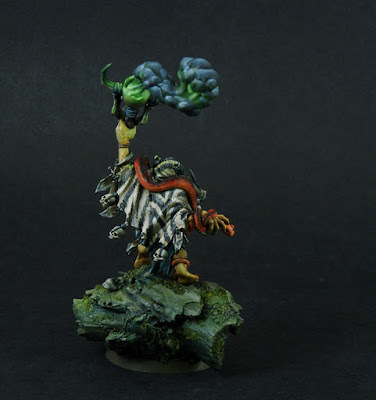 I'm not sure if those snakes are 100% free hand sculpted or if there's some conversion in there too, but either way it's awesome and adds a ton more character to the model. The painting is amazing with that smoke being a definite standout. They perfectly captured the ominous green lighting on the black smoke. It's just the right amount of color and lighting to add to the smoke. It looks magical, but not over the top. My favorite bit though has to be his shall. Instead of just painting it like cloth, they have gone for a zebra skin look. Not only have they painted the stripes on there, but they made sure the fur texture was on there too. That just adds a great level of realism to the model. The snakes coupled with the zebra skin really gives this guy a definite tribal feeling. 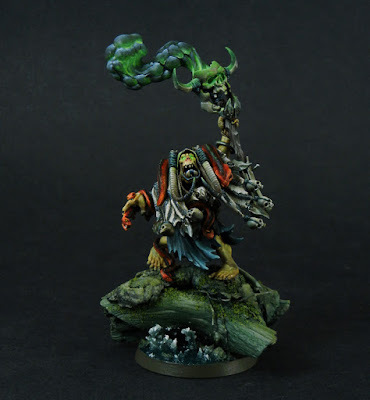 The skin on the orruk itself is a rather unique shade of green too, almost being more yellow than green. Personally I'm a fan of this brighter orruk skin tone. 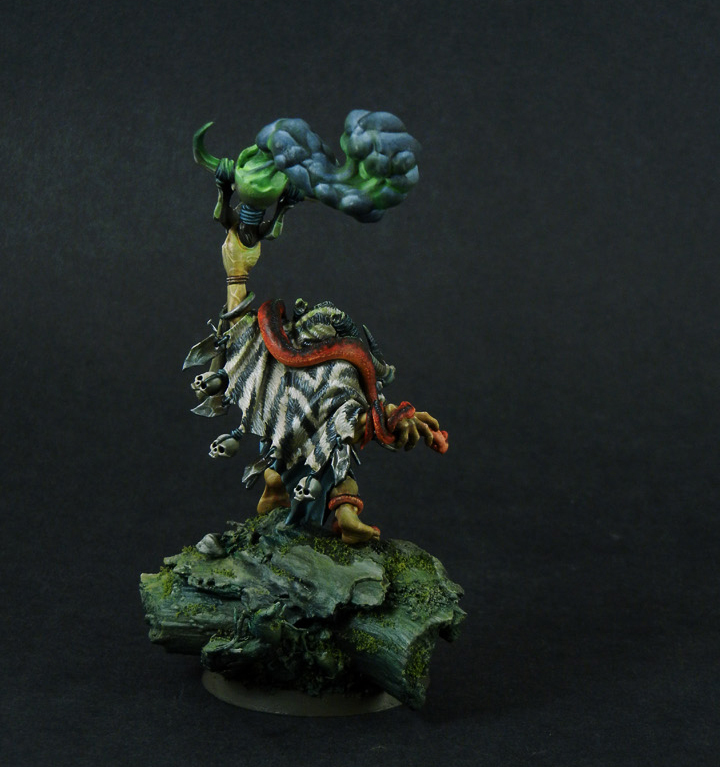 Painting the snakes red as a great spot color to the rest of the model as well. 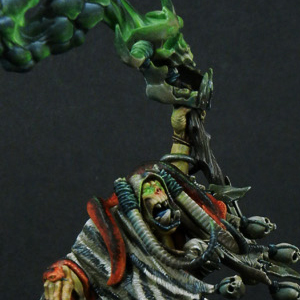 This is probably the most unique take I have seen on the Weirdnob model to date and they nailed it.